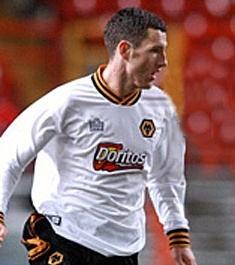 Patrick Flynn was bought in as cover for defensive injuries and suspensions just prior the the November loan deadline in 2005. Formerly with Wolverhampton Wanderers and Torquay Utd he was at Aggborough on a non contract basis until he left at the end of January the following year after making seven appearances for the club. He returned home to Dublin and has since played for Shamrock Rovers and Waterford Utd amongst others before retiring from the game in October 2016.